Repeat the sequence of animals and see how far you can go! Your goal is to remember and follow the animals sequence and repeat them in the same order. As you advance the game, it gets more challenging, including the increase the animals chain, the decrease the time and the shuffle of the cards. Repeat the sequence of animals within the time limit, and pay attention to small details that make a difference in the images. A game designed to help people to improve their concentration and memory skills, overcoming the challenges. Available for iPhone, iPad, iPod and Mac OS. 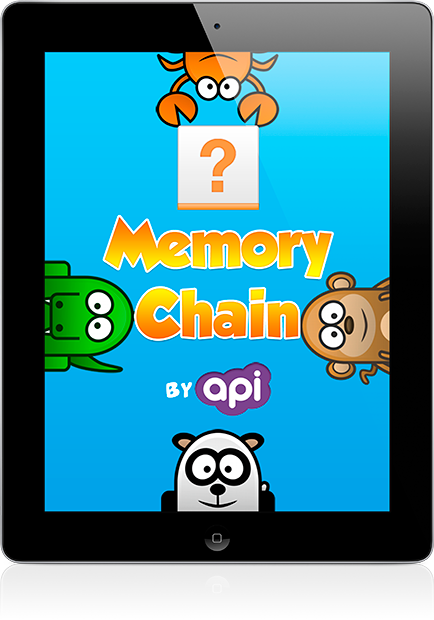 Memory Chain is a game for all ages, it is fun for everybody any time. An addictive game, where your memory is your limit!